However, her departure from CHFI marked the beginning of a magical time. In the summer of 2003, Erin saw a lifelong dream come true when the W Network called and offered her the opportunity to host her own TV show. W Live with Erin Davis, a daily live hour-long national talk show, which featured guests and viewers discussing women’s lifestyle, health and wellness issues, hit the air that fall and lasted one year. Also in the summer of ’03, Erin was contacted by theatrical producer Ross Petty, who invited her to audition for a part in his annual Christmas family pantomime. She accepted his invitation and made her live theatre debut as the Fairy Godmother in Cinderella at Toronto’s historic Elgin Theatre in December for a month long run, concurrent with her daily television show. In the fall of 2004, the magic continued. Erin had the opportunity to meet and work with Mike Cooper, one of Canada’s best-known radio personalities, while she was temporarily filling in on 97.3 EZ Rock. Erin and Mike hit it off immediately and enjoyed great success together so, when CHFI asked Erin to come back in the fall of ’05, her new friend Mike was not far behind. Ratings rebounded and the station has returned to its number one position. Erin and Mike look forward to many happy years together. 2005 ended with just one more bit of magic, with Erin being asked to be the Grand Marshal of the Toronto St. Patrick’s Day Parade the following March, an honour of which she is most appreciative. Erin was honoured to be named 2006 Woman of the Year for the Greater Toronto Area after a public survey by the Consumers Choice Award. Previous winners include Indigo Chief Heather Reisman, Hazel McCallion, Belinda Stronach and Barbara Hall. Prior to coming to CHFI in 1988, Erin co-hosted mornings on CKO Toronto, the flagship station of Canada’s all-news radio network. She had come from CKLW Windsor (aka The Big Eight) where she had been the first female co-host in the powerful Detroit market. Erin was born in Edmonton, Alberta and as a result of her father’s Air Force career, was raised everywhere, including Ottawa, Trenton and England. The Davis household was always filled with music and Erin’s introduction to show business came at an early age when she sang regularly with her grandfather’s orchestra. Erin had considerable television experience prior to her W Network show. Following a number of guest host positions at CFTO (now CTV Toronto) and Global, Erin wrote and performed a nightly commentary on CFTO News in 1998 and 1999 called Just So You Know. Then, for two seasons, she hosted a nightly talk show (more than 200 episodes) on Rogers Television called The Erin Davis Show. The lifestyle and wellness program, which could be seen in over two million homes in Southern Ontario, received an award in its second season as Canada’s best cable talk show. Erin appears regularly at various public events as both M.C. and Keynote Speaker. She is also an accomplished vocalist and fronted an oldies band for over 10 years. She was featured on three CDs for the Toronto Blue Jays and Variety Club during the team’s pennant and World Series runs of the early 1990’s. In addition, Erin has sung national anthems at many Blue Jays, Maple Leafs and Argonauts games and boasts a winning record for the home team! Erin’s charitable works are numerous. She is a regular co-host on the Easter Seals Telethon on CBC television and is a supporter of North York General Hospital as well as Markham Stouffville Hospital. Erin is very active with the Canadian Women’s Foundation, the Childhood Cancer Foundation, Canadian Breast Cancer Foundation and the Children’s Wish Foundation, for which she raised an astounding $160,000 in the summer of 1998, simply by shaving her head (thanks to the generosity of CHFI listeners). She supports PLAN Canada and has three foster daughters in third world countries. Erin has been saluted by the Empire Club, Variety Club and Toastmasters International for her public service work and is a recipient of the Paul Harris fellowship, a Rotary honour recognizing the highest public service. 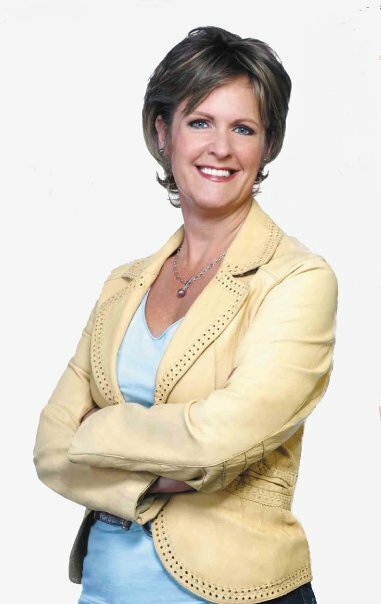 In 2008, the first Erin Davis – Women in Media bursary will be awarded to a student at Erin’s alma mater, Loyalist College. This award was established by Erin and her family in part to recognize and assist promising media students, but also out of a deep sense of gratitude to Loyalist for having bestowed upon her an Honourary Degree in 2007. Erin’s leisure time pursuits include reading, writing, answering e-mails (! ), making bead jewelry by hand, traveling, cooking, doing yoga and canoeing at her cottage on the Trent. She and Rob, her husband of 20 years, have a beautiful and funny 17-year-old daughter, Lauren, and live in Toronto with their two nutty little dogs, Pepper Jay and Molly Malone. Erin is very, very grateful.